Microsoft is doubling down on its Minecraft education initiative. The Redmond-based company on Tuesday announced it has acquired MinecraftEdu, a version of the game designed specifically for use in the classroom. MinecraftEdu was created by Teacher Gaming, a startup co-founded by former computer teacher Joel Levin. His company licensed Minecraft from Mojang, the Swedish game developer that programmer Markus "Notch" Persson created to launch the game. If you recall, Microsoft scooped up Mojang in 2014 to the tune of $2.5 billion; the company didn't disclose how much it paid for MinecraftEdu. We do know that Minecraft is quite popular in schools with more than 7,000 classrooms across 40+ countries already using it for teaching purposes. With the acquisition, Microsoft is investing in a new and expanded version of the game for the classroom called Minecraft Education Edition. The company said it plans to charge $5 per user, per year but will offer a free trial this summer. Conversely, Teacher Gaming charged a server license fee and a one-time fee based on the maximum number of students that would be using it at any given time. 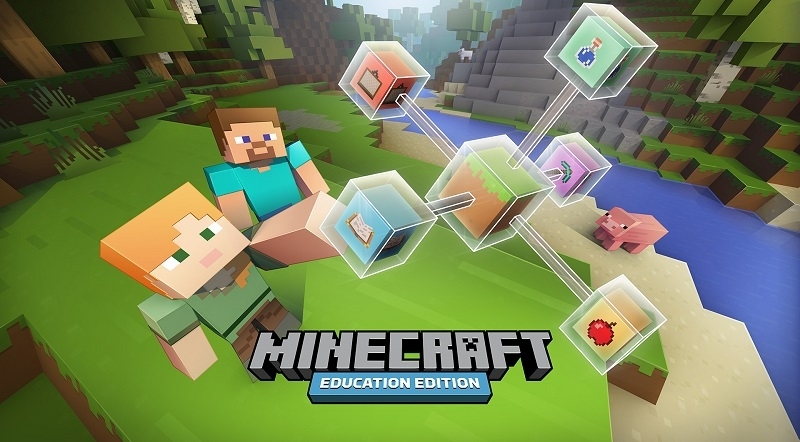 Microsoft has already launched a website for Minecraft Education Edition where teachers and educators can access a wealth of resources including starter lesson plans, forums, check out frequently asked questions and more.